If you count yourself as both a fan of Stranger Things and the prospect of getting incredibly lost in the middle of the Midwest, then hoo-boy have we found an attraction for you. 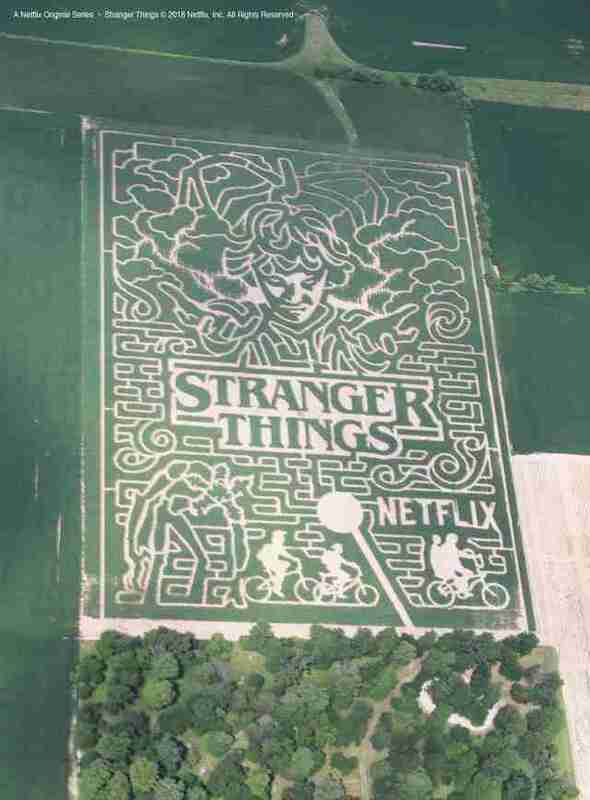 A brand new corn maze inspired by the megahit Netflix series is opening in Indiana, with 10 miles of zigging and zagging paths that altogether form one hell of a cool homage to the show. 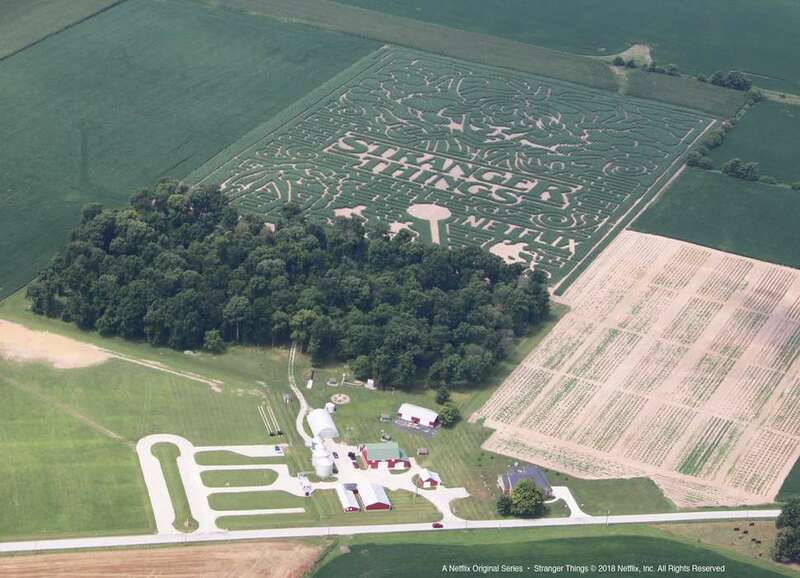 The homegrown spectacle is the handiwork of Exploration Acres, a farm that operates an annual corn maze and pumpkin patch in Lafayette, Indiana, and spans a whopping 20 acres. In other words, it's packed with more than enough misleading pathways to make you feel as though you're trapped in your very own version of the Upside Down, surrounded by corn stalks. Inspiration for the Stranger Things design came from the farm's co-owner, Tim Fitzgerald, who binge-watched the whole series and decided fellow fans would probably love it. The fact that the show takes place in a fictional town in Indiana didn't hurt either. However, before embarking on such a big project, Fitzgerald wanted to make sure the whole thing was cool with Netflix. Fortunately, they were totally on board. "[Netflix] supported Stranger Things as the design for the maze this year. They loved the idea that it is in Indiana, just like Hawkins," Fitzgerald told Thrillist. As for how they pulled off creating such an intricate weaving of images, they owe much of it to technology. Once they finalized the design, which features Eleven, the Mind Flayer, and silhouettes of the boys on bikes, they employed the help of special GPS equipment to plant the field with seeds. Then, they let it grow, and -- ta-dah -- it's filling in quite nicely, as you can tell from the recent aerial photos shown above. It's tough to say how long it should take you to get through the whole thing, since it all depends on your navigation skills. But, unless you're really bad at navigating, you should be able to complete your journey before the show's next season drops. You also have some time to brush up on maze strategy, since the site doesn't open for the season until September 14, the same day another hotly anticipated Stranger Things attraction is scheduled to launch at Universal Studios Hollywood and Orlando. In any case, if you're interested in making the trek to Lafayette, you can score tickets to the maze here.